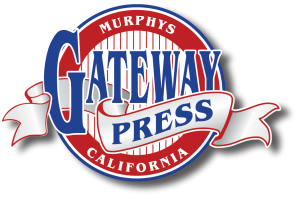 Gateway Press, Muphys Ca if you have a question… we have an answer! What kind of files types do you accept? What kind of files types do you accept?When sending us attachments of files, there are many different forms that they can be saved as. When sending us documents with text, it is best to convert text to outlines. The best form to send us is in either .eps or .pdf form. A .jpg file can be opened, however they are only print read, we are not able to edit it.